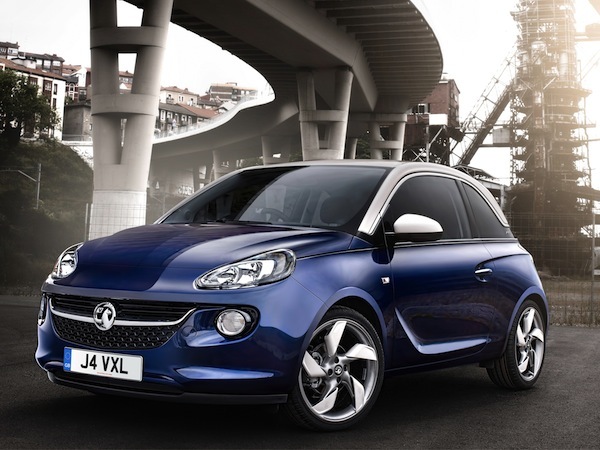 Vauxhall ADAM - has MINI met its match? 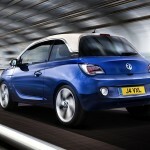 News : Vauxhall ADAM – has MINI met its match? 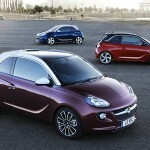 Vauxhall released its first official pictures of the new ADAM, ushering in its new MINI-sector challenger. The new three-door, which majors on style, will be officially unveiled at this year’s Paris Motor Show, before going on sale early in 2013. Designed by ex-pat Mark Adams’ team in Europe, ADAM incorporates a MINI/Range-Rover Evoque-like floating roof which makes good use of two-tone colour schemes. The new car retains design signatures from other Vauxhalls: side-feature line around the door handle (GTC), the wing-shaped chrome grille bar (new Astra) and the blade shape in the lower doors. It will also be the first car in the A-segment to have the option of LED daytime running lights. But unlike the MINI and Fiat 500, ADAM’s designers claim it bucks the trend for retro-based design with a ‘fresh and bold look that is distinctive and striking’. We say it’s derivative, but stylish none the less. Like its established rivals, there’s a high degree of personalisation options. 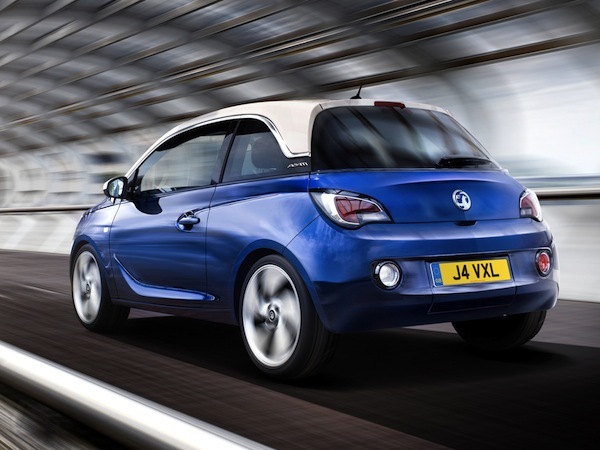 Available in three trims from launch – JAM, GLAM and SLAM – ADAM customers can effectively ‘build’ their own car. The ADAM will be offered with a choice of three ecoFLEX four-cylinder petrol engines from launch: a 1.2-litre 70bhp, plus two 1.4-litre engines with either 87bhp or 100bhp. All will be available with optional Start/Stop technology and five-speed gearboxes (one down on the MINI). Later, ADAM will adopt the new-generation small petrol engine, featuring direct injection and forced induction, and an all-new six-speed gearbox. 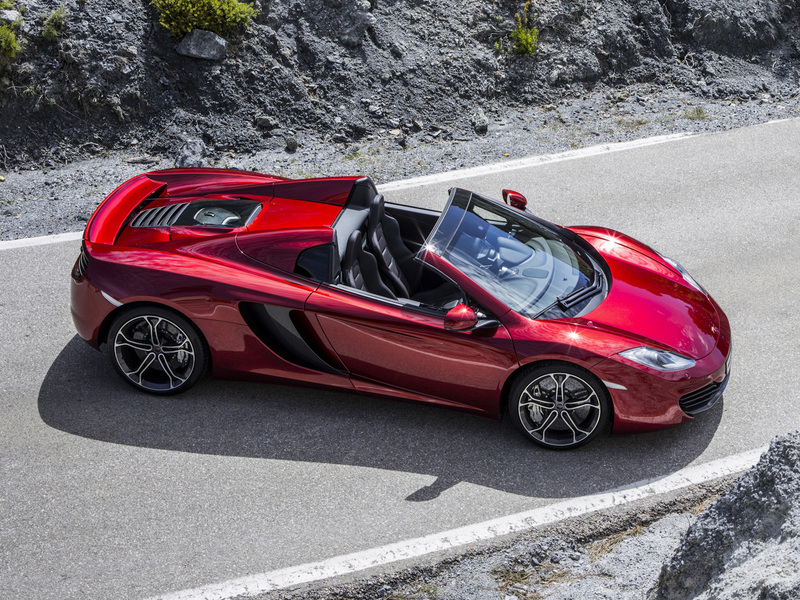 Front suspension is by MacPherson strut, with a compound crank system at the rear. Wheel sizes range from 16in to 18in and cars that are specified with 17in or 18in rims come as standard with the lowered sports chassis. Handling on urban roads is enhanced by a CITY mode, which increases the electronic power steering system’s assistance at lower speeds. ADAM will go on sale in January 2013 and it will be interesting to see where the company goes with the pricing – and whether it will go head-to-head with the premium A-segment MINI (which is due for replacement in 2013) or the Ford KA/Fiat 500. However, if it’s to gain a foothold in this competitive sector (let’s not also forget the Audi A1 and Citroen DS3), the ADAM will have to offer a significant USP – beyond its excellent warranty and dealer support. Some of you will be aware i love this car. …which is why I brought it here. It looks a bit of a mixed bag a cross between a small Citroen with Nissan Juke front end treatment(big head lights with huge round lights underneath. So we can expect the VXR version 6 months after launch then. Very nice, look forward to seeing it on the roads. Very boring design – if that word can be applied at all. Looks like a mix of some components of Fiat 500, Ford Ka and Audi A1 thrown into a mixer… Opel had so much better ideas for small cars in the past! 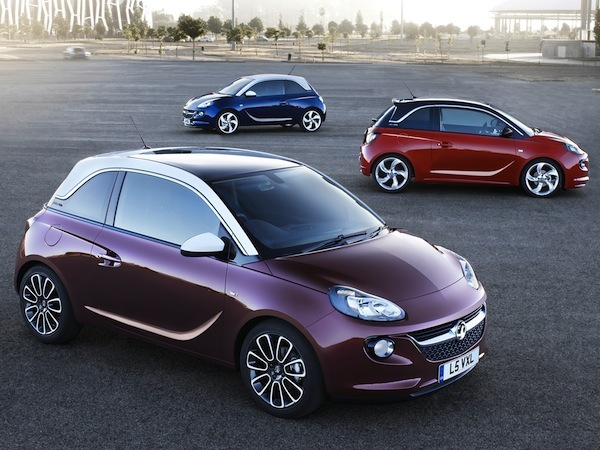 Do you think Opel/Vauxhall can manage to sell a ‘premium’ small car? I find it refreshing while i find the Mini boring,only the van generating any reasonable interest from me,im generally sick to death of the sight of them-a bit like a city fan hating man utd.I dont see too many A1’s about,i dont know if its potential customers thinking its the brand milking it or what,the 500 remains a favourite because it remains faithful to the original to a degree,not everyone can do retro and get away with it AND command a premium price,if VX are punting this at circa £11k up and providing they dont take the piss with options at silly money,this will be a winner-indeed,let battle commence! I quite like that. Lots of design themes from lots of other small cars, and a few from the Vauxhall family too, but it somehow works. Yes it’s style focused, but less so than the MINI I would say – and I know which I would prefer. Engines are surprisingly large for such a small car – I was expecting a 1.0 3 or even 2 cylinder job. If recent small Vauxhalls are anything to go by though, it will weigh about two tonnes. Must say I’m impressed with the interior, looks very good. I just hope they have steered away from the trend for rock hard seats, recent Astras and Corsas have had paving slabs instead of foam. Exterior detailing is a little fussy – all those swage lines and streaks make it look very busy. And why couldn’t they incorporate the fog & reversing lights into the rear clusters? They look like an after thought on so many cars now. Even with such small units, I’m sure it was possible to get the regulation distances. One of my minor grumbles. @7 apparantly its slightly longer and has a wider track than the current mini! any way – I quite like the look of it but doubt I would buy one I would still buy the mini I think, or the MG3 strangely I like the MG3 but not the MG6 (from pictures only). I imagine it will do at least ok. However, in this extremely image, personality driven sector will it really catch on and be a huge success as per MINI, Fiat 500. Time will tell. Do such cars need to hark back to an early predecessor for the right image? Or not? – lots of buyers will be too young to know about the original. The name, though. A groovy, trendy image may attach but surely they could have come up with something better. ADAM? Was ADRIAN also on the short list? Overall though I like what I see. If buying this type of car I’d certainly give it a close look. Is the name in memory of the founder or designer? Thats one of the blnadest looking cars I’ve seen this year, especially from the front. As for the back end, it’s almost exactly the same as the MK1 Ford KA! Uncannily so in fact. As for the name, awful, just….NO! Nova or Viva YES! Not bad, but it’s a bit fussy looking, as if they’ve been trying too hard to make it distinctive looking. Who are you going to believe? me or your lying eyes? What is a BMW MINI? a bloated,fat and complicated expensive psuedo homage to the original, the the R54/56 look no different to the current.The original was a revolution when introduced that got several hundred thousands mobile on the cheap,now its a fashion accessory or advertisement hoarding for kebab shops and estate agents,the ADAM as at least got style and panache were the mini is to be frank boring to look at,is expensive to buy and option,you may say premium inside but even the koreans are catching up with that one.The 500 feels and looks the more tactile inside while looking simple,i cant wait to see the ADAM in the flesh or the inside of it,in this market there is at last more choice,that the astra is this months current best seller so far is an endorsement of the vauxhall brands styling direction. Yes… shades of Ford Ka, Fiat 500 & Citroen DS3 here (particularly the 2 tone colours like Citroen). Like the alloy wheels. I wish it well but dont see it as a premium car in this market sector. I am prepared to be proved wrong though. Will it actually be sold as the ADAM? Named after Adam Opel? @16 – Do you work for GM by any chance? @18 no,senior vehicle engineer at Northgate plc. The Adam. An unfortunate name but certainly moves the game forward. I like the styling, it’s refined, with modest detail touches, and I like it 🙂 BMW had better pull a rabbit out of the hat for their next Mini.. Sorry but Vauxhall, quality and premium does not go together, all the Vauxhalls I have driven have been awful experiences,i would never own another Vauxhall as long as i live. This one, has so many bit nicked from other makers it is unbelievable, have they no designers of there own, to make and produce a car of there own. No doubt this will sell, as it will have all the discounts on teh cars that Vauxhall currently has going, and has been going for a number of years, why they just dont sell the cars for those prices beggers belief. 18″ rims? WTF! Obviously low running costs aren’t on the agenda. @22 ha ha! lets hope they dont do run flats either! 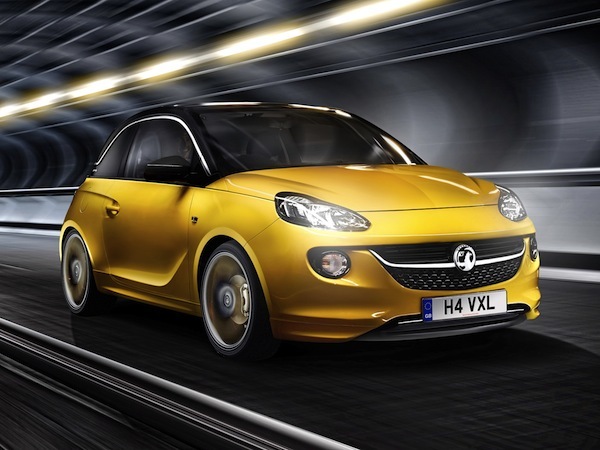 There is absolutely nothing cool about a Vauxhall called Adam…! There are precedents for this- Mercedes was the daughter of Emil Jellinek, a Mercedes dealer and racing driver, and the Ford Edsel was made for a couple of years from ’58 and named after Edsel Ford, son of company founder Henry Ford. D’oh! I meant Emil Jellinek was a Daimler Motors dealer (the German company, not Daimler UK)- Mercedes Benz did not exist as a brand name prior to this! We’ve had a Ferrari Enzo, & many different Dinos over the years. Was Alvis named after anyone in particular? It’s an (old fashioned) girl’s name. I really think calling the trim derivatives, Jam, Slam, and Glam too silly for words. I propose instead Lurch, Pugsley, Wednesday, Gomez, Fester, and Morticia for an expanding Adam family. @31 Brilliant! I hope to see one with giant bolt heads instead of door mirrors! Why is it called ADAM? Ok, what about rebranding the MINI as the SIRALEC or ISSY? I like this. Chunky, solid, and somehow – I can’t explain this – somehow it has echoes of Opels of the late fifties/early sixties. (We have to use our European heritage – it’s one of the few things the Koreans & Chinese haven’t got) Maybe it’s the old fashioned colours. 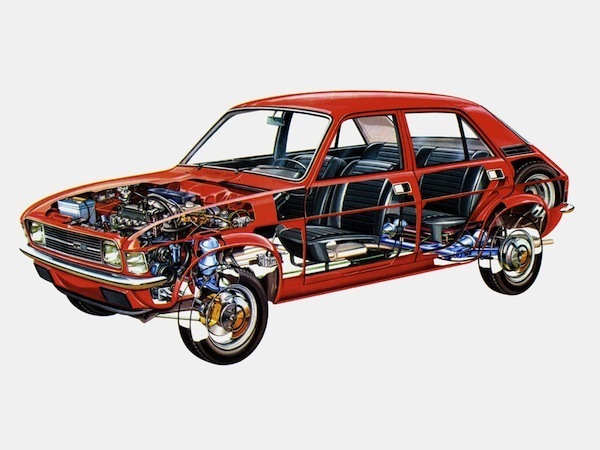 And if it is copied from the original Ka, that would return the compliment of the Mk3 Cortina GXL being an FD VX4/90 with a vynil roof from the Ventora, and four inches chopped off the boot. If they make it, please make it light, quick, and economical. PS I like the name! Yes, a bit slow on the uptake. 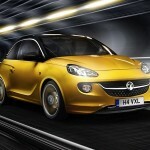 But why Vauxhall ADAM, opel I can understand, but Vauxhall? Go on , call it a Viva . Dare ya ! So on the basis of this things name we can expect it to enjoy a halo effect for a while and then be cast out in the wilds of horrible depreciation? Either that or they’ve been reading far too much Neil Gaiman. Are they going to rename the Insipid the Alf Garnett? They could even do a ‘Ventriss’ special edition – by using cut down shotgun shells for that ‘face like a blind carpenters thumb’ experience. And thats before you get started on the car itself. It looks like someone took a Chrysler Airstream, mated it with the offspring of a Tatra 603-1 and a DS3 and then slopped icing on the top. Originality, whats that then? The alloys all look like someone bought a job lot off eBay. Then theres the front – which reminds one of the buck toothed kid in primary school who used to enjoy pulling the wings off craneflies, or playing bumblebee tennis. You know the one, had graduated to mythbusting the interactions between pet cats and dynamite by age 14 – and was in HMP Broadmoor by 25 as a convicted serial killer. Thats a thought actually – have Top Gear do the Botswana thing again with brand new modern cars. I’d love to see how long they last… probably about 15 minutes. 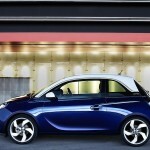 Time to ressurect the Opel brand in the UK? The German badge would have more status than Vauxhall. @38 as I said at @27, the GM Thought Police like us (in the UK) to imagine that there is a world with only Vauxhall in it and that Opel is just a furtive figment of foreign imagination. This means however that they are constrained in some of their name choices – so we didn’t get a Vauxhall Kadette and yet Europe (including Ireland) gets an Opel Astra as you can use the Opel and Vauxhall badges on those with impunity. Now maybe Opel Adam makes sense if you explain the origins to an intelligent European onlooker in the founder’s name, but when talking to those of us in the frontally lobotomised UK audience who might be frightened to learn that Opel still exists, they can’t use the same story. 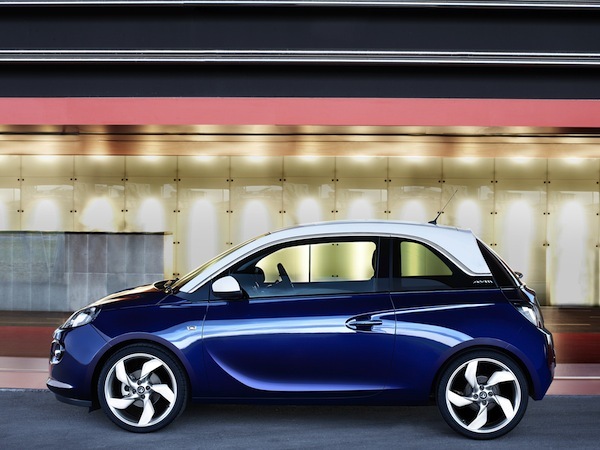 So when someone asks ‘so, why did you call it the Vauxhall Adam?’ the man from GM has to start looking anxiously at his watch and say ‘oh, is that the time? Sorry, I must dash for a brand management realignment meeting’ and runs off. How about the AstraKAMINIDS500 as a name? I think it looks like a committee car who could not make up there mind on what they wanted it to look like! Probably will sell like hot cakes to those ladies of the orange persuasion, just like the Tigra did back in the day. I don’t buy your somewhat paranoid notion about General Motor’s ‘thought police’. Many vehicles have, for purely marketing reasons, adopted different brand or model names from one territory to another. The Vauxhall name is kept on in the UK because it is a familiar one for consumers here- the Opel brand hasn’t been used here, apart from run-out Mantra models, since the late 1980’s, prior to which we had a pointless situation where Opel and Vauxhall dealers were selling the same car with different badges and minor trim differences. As with Austin and Morris effectively competing with itself back in the day, General Motors decided that they, like BL before it, needed to rationalise the product range. People in the UK are offered Vauxhalls because that brand has typically been stronger in the UK than Opel- many Brits have owned or driven Vauxhalls but not the German branded equivalents, and to change the badge risks losing sales to those less enlightened punters ‘who fink its British, innit?’. Its not some bonkers conspiracy by an evil multinational in order to force an unwilling public to buy a brand that they don’t want- its purely a sensible marketing approach for a weakening brand to shore up sales without actually denying consumers freedom of choice since the differences are very minor. apart from the daft name, lack of a diesel and huge front overhang am sure the dealers in the UK will scupper the car’s chances. @49 Vauxhall are always in the top ten of car sales,they must be doing something right,unlike renault. 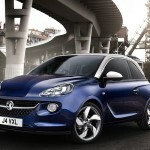 @50 Vauxhall is in the topten down to fleet sales. Minus the bulk buys then it’s position is less sure. And the Adam won’t be a fleet purchase ;o) so it’s up against non-fleet fodder such as the Mini and Fiat 500. I saw a Vauxhall Vectra which had lost its chrome grille badge and underneath revealed the shape of the Opel logo in black. I presume all other Vauxhall/Opel cars have the same “hidden” identity. But we all know they are the same cars – that’s modern car production & marketing for you. It’s a similar picture in the Audio Visual equipment business too – and many other industries. @54 Kenny. I also have some old “Observers Automobiles” books from the mid 1960s… And a Vanguards model of a Cresta PA, in Dusk Rose & Lilac Haze. I’ve noticed a few Vauxhalls with the badge on the grille missing & an Opel one underneath. I think when Vauxhall wyvern badge was made circular in the 90s to make it easy to nail on top of the black plasticy thing on the grill, which had the Opel blitz flash on it, to make it fit both Opels and Vauxhalls. When the Vauxhall badge falls off, the black plasticky thing on the grille remains, with the telltale blitz flash visible. The Holden badge was made circular as well, presumably for the same reason. This thing wants to compete with the current Mini, DS3 or 500? NEXT!